A Big Thank You to Heather for organising the Theme-a-licious this year!! It's been so much fun even if I have had to bend the definitions some months. Round Robins are birds aren't they? Here's my summary of the year. 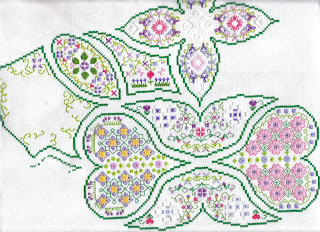 Jardin Janvier, so I stitched Green Goddess. She is all leaves and flowers so most appropriate for the theme. Fan Girl February, stitch your favourite designer's work. I managed two of my four favourites - Joan Elliott and Just Nan. and the second is Kathy's band sampler, bands taken from Burgundy Stocking and Evening Star Sampler. Colours changed to match Kathy's colour scheme. I've not stitched any metallics, beads, backstitch or leaves yet. That will all be added when it returns to me next year. I was unsure about having any leaves but I really like the pop of green on the Chrysanthemum so I will be adding some more at the end. March Madness, stitch a different project each day. Not going to happen. LOL. I did manage to stitch several different designer's pieces and not duplicate a single person. 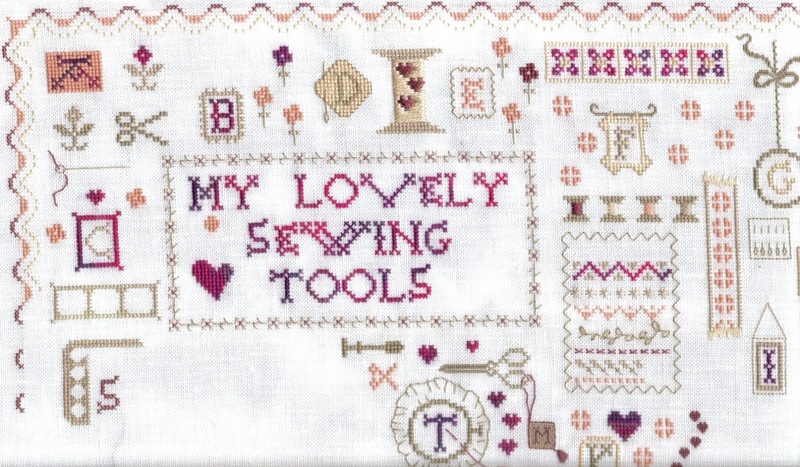 I also had a Moment of Madness mid-month and did a few stitches on My Lovely Sewing Tools. Then to round the month off I decided to start a few new projects instead of working on my WIPS. 6. Joan Elliott for the JE RR on the Yuku Board. The last 5 projects I started in the last 5 days, I thought I'd have a flourish of starting madness to finish the month!! San Man Original Quilt Shop. Sent to Lany Bleu as her Epiphany Giveaway prize. Joan Elliott Round Robin for Jacqui. I've actually done loads more than this but don't want to show her until I've finished now! This is all the black I worked on during IHSW. Mystery Project! This is the back of one part. If you guess what it is then I'm calling you a geek. LOL. Elissa Hudson for Cross Stitcher mag. 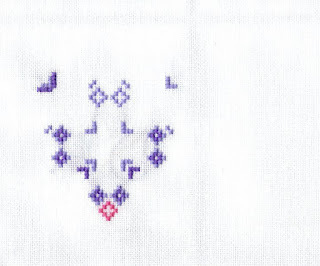 stitched on 32 count white evenweave. 4 letters down, 22 to go! 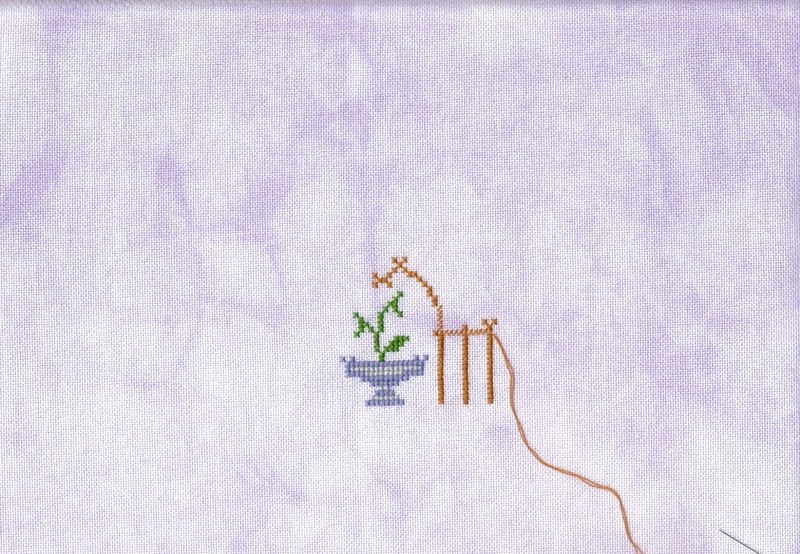 Country Cottage Needlework - Cherry Hill. Giveaway prize from Crafty Rahenna. 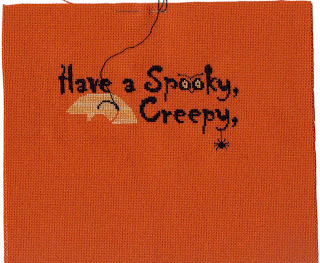 stitched on 40 count over 2.
stitched on 36 count over 2. Amazon April or your biggest projects. I decided that BAP stands for Big AlphabetProject and worked on both Dark Alphabet and my Turquoise Baby Alphabet. 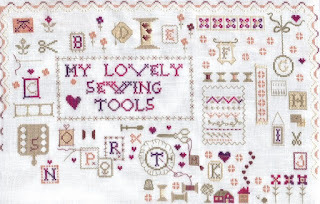 I also worked on My Lovely Sewing Tools (which actually has an alphabet in it, scattered around the piece) and had a completely unexpected start in Papillon's Around the World in 80 Stitches. ATW80S is certainly an enormous piece of fabric for me and it's a full two years project so that will definitely count as a BAP. May Memories. 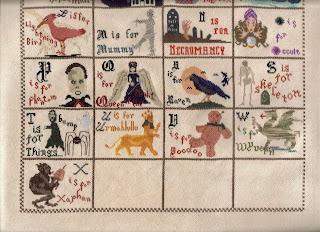 I decided to go for Making Memories with The Dark Alphabet designed in memory of Lisa Roswell and also my Joan Elliott Round Robin piece which is about making memories with new friends as we all stitch on each piece. Jumanji June, birds and animals. As I didn't have any pieces with either of those I stretched the definitions to the limit and stitched on two Round Robins and a guinea pig piece where I tested a chart out for a friend's new website. 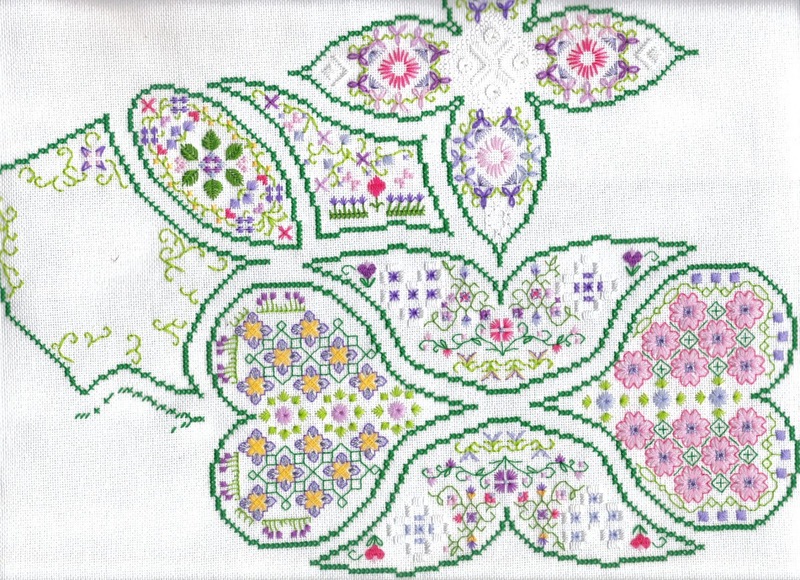 The broader cross stitched bands are from the Antique Lace Band Sampler by Northern Expressions Needlework. I changed the colours to suit Angi's palette. Jolly July, It's a jolly holiday with your WIPs...you can concentrate on Christmas designs, ornaments, or even pick a different holiday to render in stitchy goodness. I chose this cute little ornie from the Christmas Preview issue of Just Cross Stitch, it is designed by Blue Ribbon Designs and I chose to stitch it on 32 count twilight blue linen rather than the tan colour in the magazine. I also changed the Blanc to B5200 because I like it! 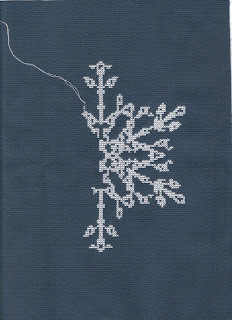 Blue Ribbon Designs - stitch the snowman ornie and scrapbook the two together - not at all. "We all love gadgets, and none better than the teensy tools and holders we make ourselves. 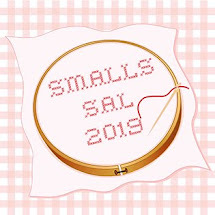 Let's stitch some smalls--needlebooks, fobs, biscornus, scissors keeps, pincushions--or knit some teensy things--amigurumi, jewelry, sachets...."
Not a lot of small stitching went on, and certainly no cute finishes like Heather listed! 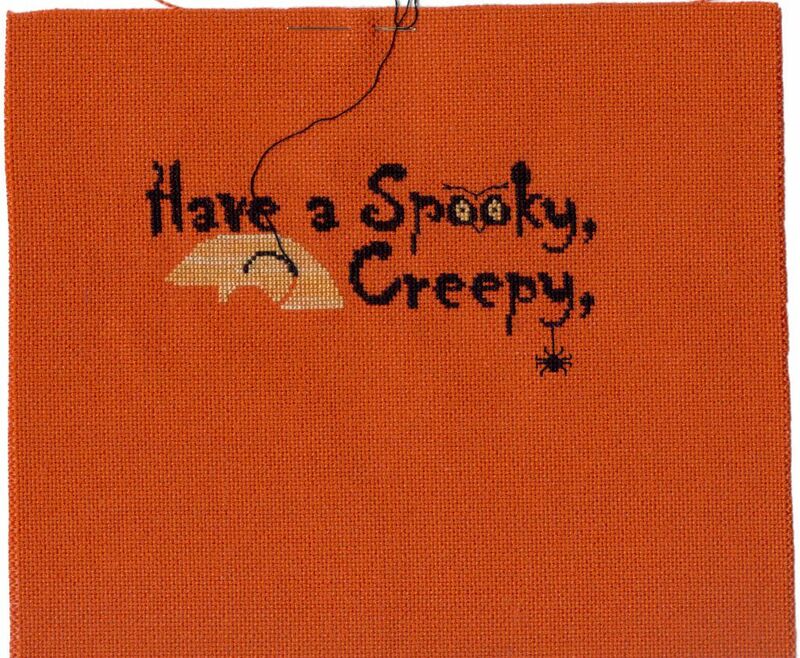 and the other is for Karen aka Stitchywoman. Obligation October. I stitched a number of cards and two Round Robins for this theme. 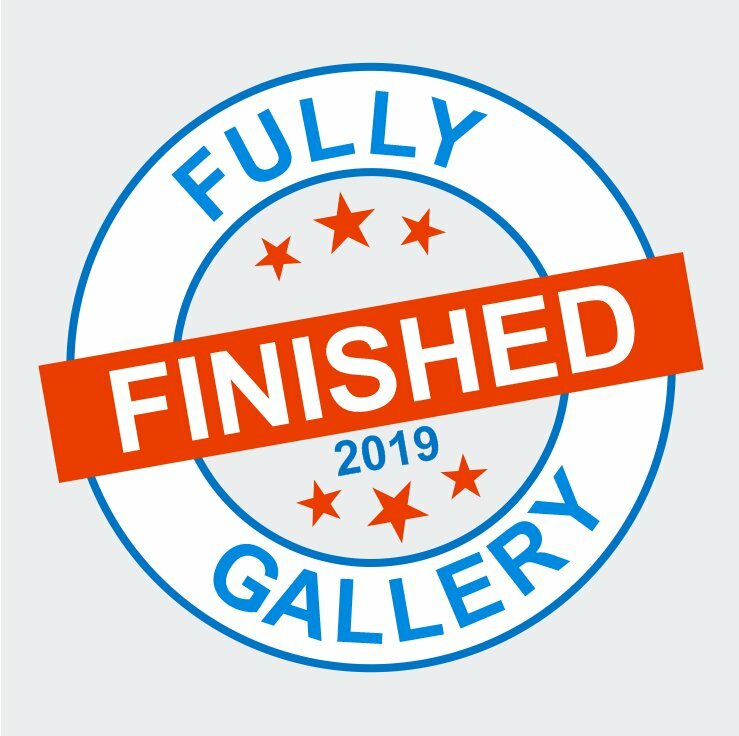 What's lying around that's so close to being finished you can't stand it anymore? Get to it and finish it! This was a tricky one for me because nothing was close to completion and I needed to work on Round Robins! I decided to "nail" those for the theme. Here's Debbie's RR in it's entirety. I didn't want to post a picture until she confirmed that she'd received it back. Debbie's theme was Fairies and Goddesses. I was the last to stitch on this one and chose Sweetpea Fairy (top right) because (a) she fitted the box left and (b) she matched the others in blingability! The holidays are a time for relaxing...at least, that's the theory! No stress here...work on whatever you want and enjoy! This is a nice easy theme for everyone to join in with. 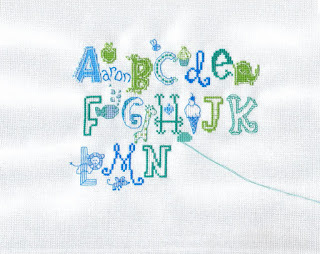 I worked on my Mirabila Round Robin and the Scarlet Letter English Transitional Sampler for most of the month. Then a couple of days before Christmas I received a gorgeous Christmas sampler from Shirlee the Easily Influenced Stitcher, Joyous Noel by Elizabeth Designs. At once I had to order some platinum linen and some satin thread (plus a few charms! ), thank heavens for SewandSo's next day delivery! I've been stitching on this all over Christmas and it's been so much fun. The satin stitching does make the linen go a little skew-whiff so I think I might get this framed professionally and have my framer stretch it properly. 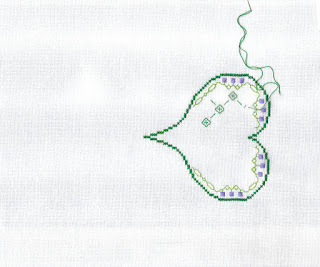 I also completed the design which was another prize received last year from Kaye of Kitten Stitching. I used DMC threads and evenweave. 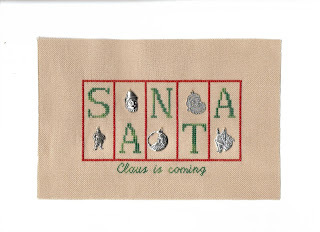 This was such a nice quick stitch but I felt it needed a little something extra so I added the word "Claus is coming" along the bottom. 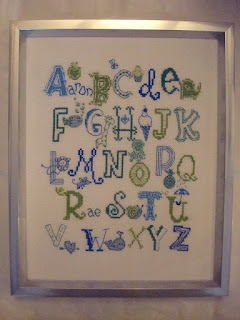 I used this website to chart the letters - Stitch Point It's really easy, just choose a font, type the words you want on the onscreen keyboard and the chart appears underneath, print it off and stitch! 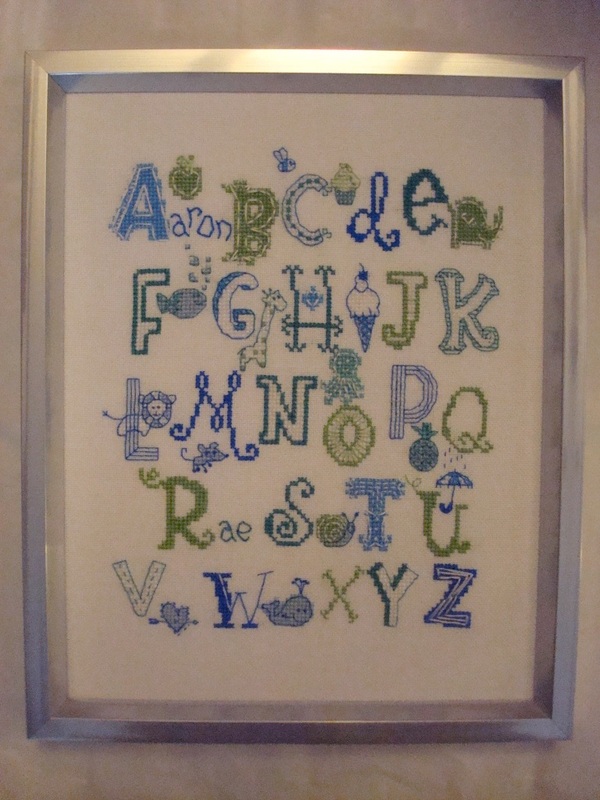 The final piece I stitched is the Needlecraft Haven Freebie Challenge for December. A Primitive Hare design, Xmas Time. 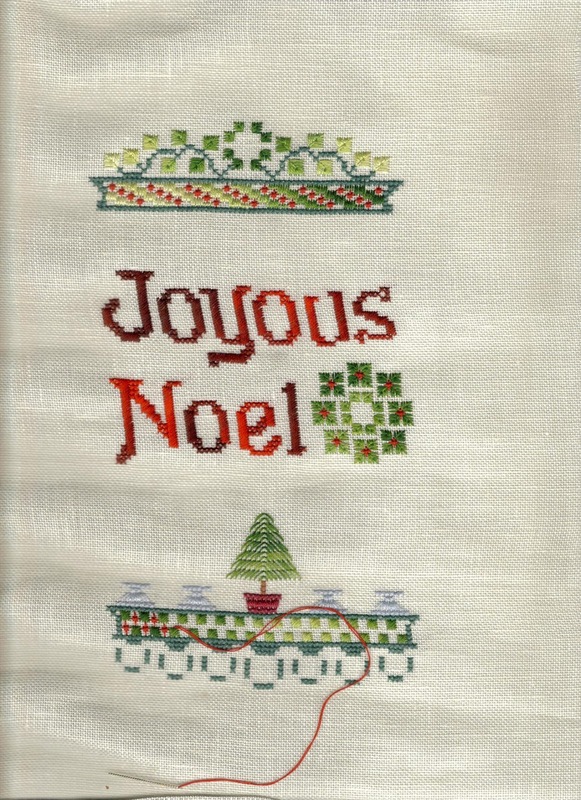 I stitched this over 1 on the same platinum linen I used for Joyeous Noel. 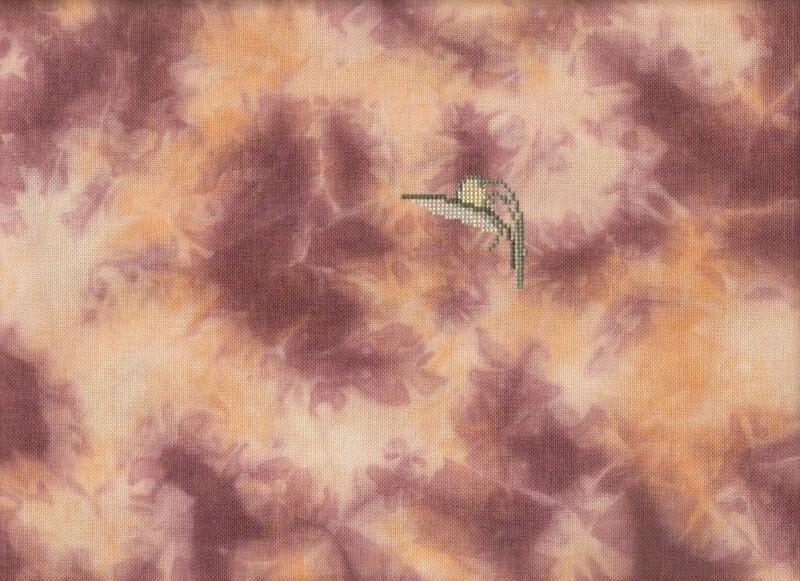 It's pictured here on the fabric I used to back the ornie. This has been stuffed using my ORTS from 2011. The 2012 ones are in a bag ready for the next ornie. January is Jardin Janvier as per last year so I think I might just dig poor old neglected Green Goddess out and stitch a little on her. Inbetween my Round Robins and the Scarlet Letter! Finally, this is the last post of the year and possibly the longest phew!! If you've come over from The World of Cross Stitching magazine (and have made it this far!) then welcome to the blog, please leave a comment and say Hi! 3 hours build time, approx 20% of item complete! Part 1 of the WIPocalypse was my "12 in '12" which were 12 charts I wanted to stitch in 2012 (following on from my "11 in '11" - 11 charts I wanted to stitch in 2011). Can you guess what next year's will be called? I actually did really well with it this year, certainly better than 11 in '11. I learned from my mistakes and included my obligation stitching and some smaller projects too. 6. Skull and Roses by Ed Hardy - not even started. Just Nanathon - I have so many of these I want to try stitch as many as possible over the next year or two (or three or four). Part 3 is the Theme-a-licious and you'll have to wait until the 31st for that update! 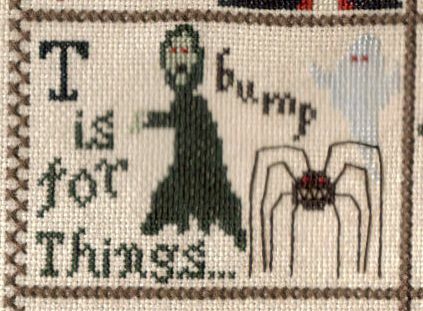 I've been going through my stash piles to decide on the "13 in '13" I want to stitch. I have four main WIPS I want to focus on and the other 9 designs will be charts and/or fabric that I have received from other bloggers. I've actually got more charts than those that I've won over the last year and plenty more from magazines! But these are the ones that made the list of 13. The four WIPS are pretty big projects, ATW80 won't be finished because it's a part-work continuing into 2014. The cottages, Snapdragon and Noel Blanc are medium sized projects and the others are all smaller. 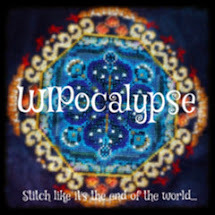 Part 2 of the WIPocalypse is going to be the monthly stitching challenges including the Ornament Challenge from Silver Lotus Reflections in the Pond. 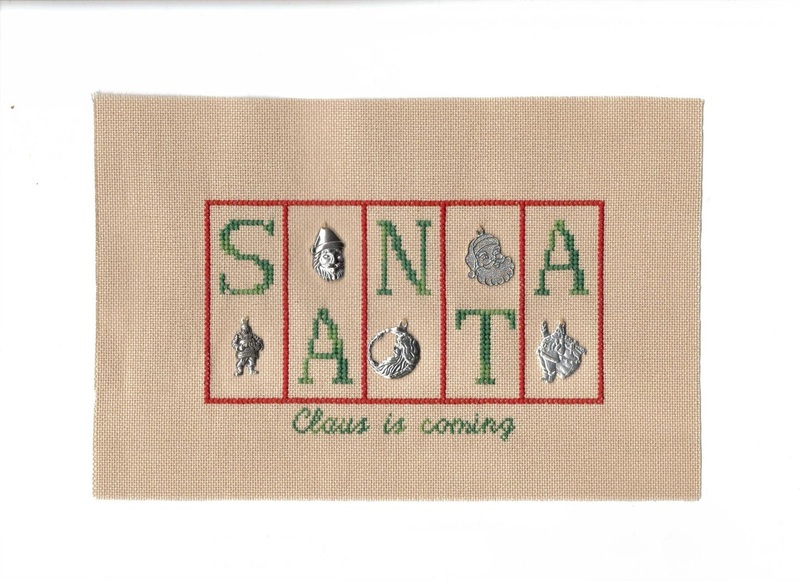 I have chosen two series of designs for this - the Dragon Dreams 12 Dragon Days of Christmas (from FB) and the JBW cat from JCS mag which I want to stitch 12 times in different colours. 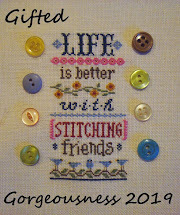 I'm part of a SAL on FB for the Joan Elliott 2013 Diary designs. The diary is the cover gift with World of Cross Stitching issue 198. 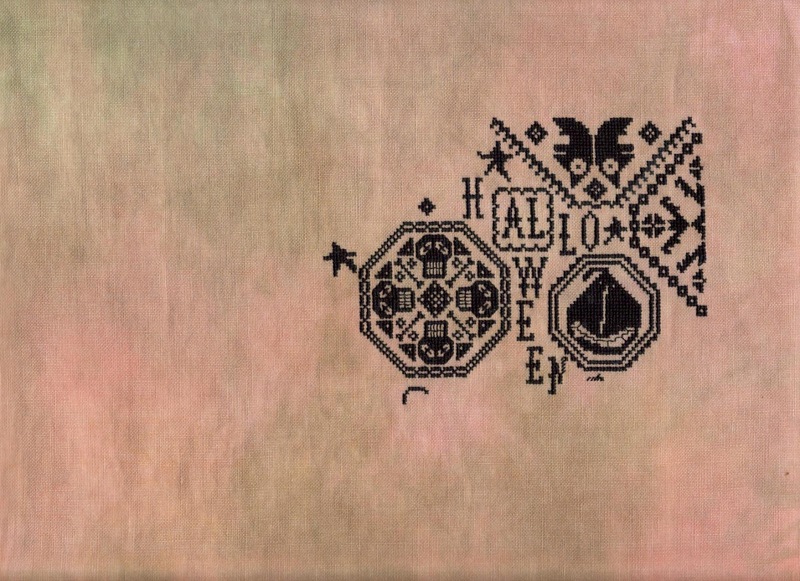 There are 12 designs with a monthly theme. 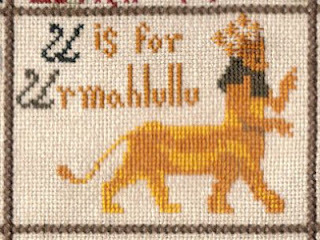 Joan herself is stitching along with us for her favourite design - September, my birth month. I wonder if she'll make it into a card for me? We'll be celebrating Nicola's Scarlet Letter Year throughout 2013 with our Scarlet Letter Samplers. 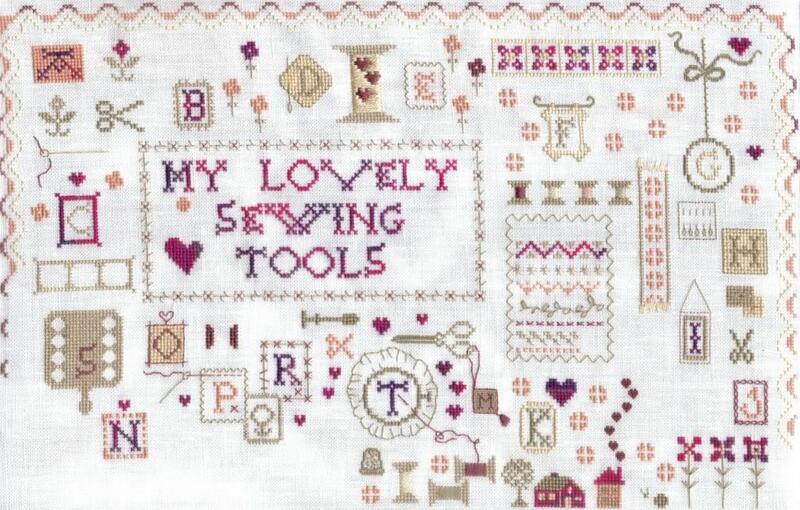 I'm stitching the English Transitional Sampler and I'm thinking that will keep me busy for the whole year. I also have 10 more of Brooke's Books Cake to stitch! I want to stitch these and send as e-cards for Birthdays. 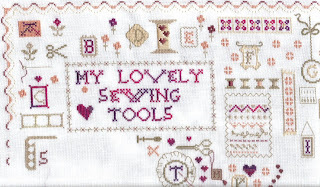 And Christine is continuing the Needlecraft Haven Freebie Challenge each month. And the Italian Earthquake Charity Fundraiser booklet, there's several designs I'd like to stitch from that. And the entire back catalogue of Gift of Stitching magazine I got for Christmas. I notice there are some ornie specials in there. I haven't even loaded the CDs onto the computer yet!! Is half the fun actually writing these lists? I certainly enjoyed going through my Giveway bag and re-reading the notes sent with the prizes!